Nathan Anderson grew up in the Midwest, primarily in the Kansas City area. Since boyhood, he loved to create and draw. A high school art class provided an introduction into paint, and it quickly became his medium of choice. 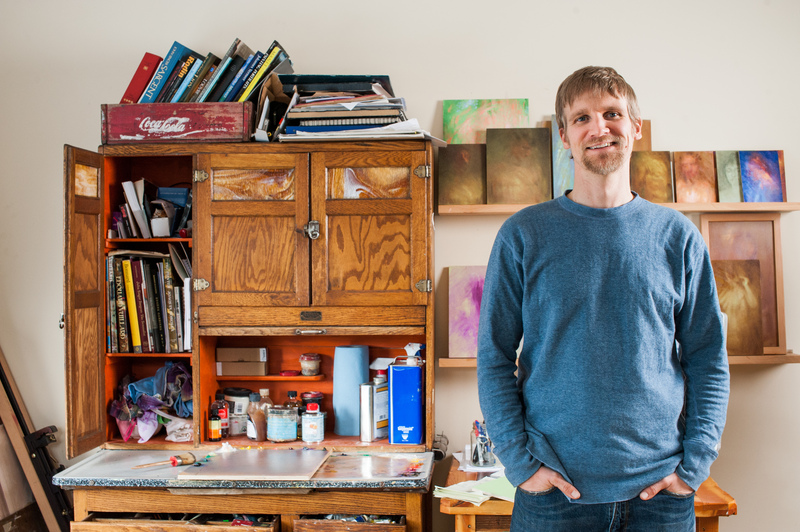 He pursued art in college, graduating with a BFA from Washington University of St. Louis. After graduating, he followed a dream and moved to Montana. Over the years, he has been a carpenter, soccer coach, fly-fishing guide, and of course, an artist. During this time, he did a number of commissions, primarily portraits and murals, and participated in local shows. More recently, Nate has been developing his personal work and participated in the “Montana Artrepreneurship Program.” This has led to a renewed desire to share his personal artistic vision with the world. the beauty, complexity and struggle found in our humanity.